Markets Surprised: Fed Hikes Discount Rate And No Takers For IMF Gold? 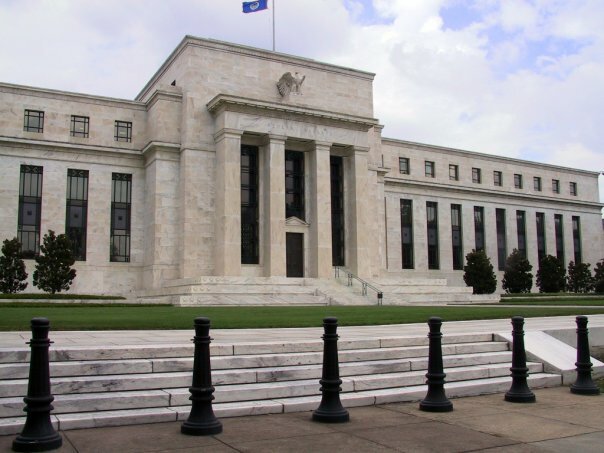 The US Federal Reserve has begun lifting its discount rate, a move that markets have taken as a sign the US central bank is about to start tightening its monetary policy. The Fed said that the discount rate, the rate it charges banks for emergency loans, would be increased to 0.75% from 0.50%, effective Friday, although it left its benchmark federal funds rate unchanged. Traditionally it stands about 100 basis points, ie, 1%, north of the widely followed Fed Funds rate, but it was chopped to 0.5% during the crisis as part of the bail-out. In the depths of the financial crisis in 2008, Fed discount window loans exceeded USD 100 billion. As of Wednesday, they were below USD 15 billion. It is the first time the Fed has raised any of its key lending rates in the aftermath of the financial crisis, which began more than two and a half years ago in August 2007. The timing took markets by surprise even though Fed chairman Ben Bernanke had said last week the discount rate could go up soon but stressed that this would not be akin to a tightening in monetary policy. However, according to ATCA RAW and mi2g Intelligence Unit consultations with distinguished market sources overnight this is exactly how it is being taken. Markets are worth watching given the high element of surprise. No Takers for IMF Gold? Given the recent announcement by the International Monetary Fund (IMF) that it will soon begin phased sales of 191 tonnes of gold in the open market, this has called into question demand for bullion from official sector buyers, or specifically, central banks around the world. The IMF announcement on Wednesday said, "Prior to any sales on the gold market, sales were first made exclusively to interested central banks, thus shifting gold within the official sector. Now the IMF will begin sales of the remaining gold on the [open] market." What is causing rising tension in the market is the fact that on the same day the IMF made its 'no sale' declaration and its decision to shift the sale to the open market, the World Gold Council, issued its quarterly Gold Demand Trends report, which highlighted the role of central banks as net buyers and demand generators. If the central banks are not prepared to buy the remaining IMF gold, what are the implications? What do they know, that the average buyer does not? Gold is normally a hedge against inflation. The first indication may lie in the price of the bullion itself which is now trading at around USD 1,100 a troy ounce, significantly off its historic high of USD 1,226 an ounce set in December. Given that the Reserve Bank of India did buy all of the 200 tonnes from the IMF as part of the first tranche of such sales last year at USD 1,050 a troy ounce, central banks may now have been deterred by the huge publicity that this sale generated and may look to pick up the bullion through other means or they may have been persuaded that gold prices are likely to fall in the near term as the commodity bubble bursts and the dollar strengthens. As Dollar Rises, What Next? The US dollar jumped as the Fed took another step in a gradual retreat from its unprecedented actions to mitigate the deepest financial crisis since the Great Depression. The dollar is gaining ground against the euro, which is down to below USD 1.35. Naoto Kan, Japan’s finance minister, said the Fed’s decision would weaken the yen and not hurt the Japanese economy. The dollar rose as much as 0.3% to 92 yen on the rate announcement, the highest level since mid-January. Given the inverse correlation between the dollar and most other asset classes, that ATCA has observed since 2009, we expect riskier asset classes to display high volatility as the dollar rises. US Treasuries are declining with yields shooting up. Shorter-dated Treasury yields rose sharply as result of the announcement with the two-year note yield hitting its highest in a month, while the spread between two-year and 10-year yields narrowed. The shorter end is more susceptible to expectations about moves in policy rates. Treasury yields at the longer end were already on the march prior to the announcement as a reaction to the well anticipated news that around USD 126bn of US government debt will be auctioned next week. US crude oil futures fell 1.4%, hurt by dollar strength that hit commodities across the board. Gold in the spot market was down 1.1% at around USD 1,106 a troy ounce having declined more than 6% since December. Both the Fed and IMF recent announcements are having an impact on the price of gold. The impact on Asia’s stock markets was sharp. The Nikkei 225 in Tokyo fell more than 2% on Friday while Hong Kong’s Hang Seng index dropped as much as 2.4%. South Korea’s Kospi index was down 1.3% and the MSCI Asia Pacific index fell 1.8%, a two-week low. Upon opening, European share indices are broadly falling, snapping a four-day winning streak, with banks the worst performers. Next Steps in Fed Exit? With a slew of other economic indicators –- such as stronger than expected producer prices –- encouraging the idea that economic recovery is on track, there will be every reason for the markets to anticipate that the Fed exit policy is gaining traction. As the Fed moves to the next stage of its “exit strategy”, the increased discount rate paves the way for term deposits and reverse repurchase agreements, mechanisms that the Fed has said could be used to drain the central bank’s reserves. However, it is likely the Fed will begin unwinding emergency settings with asset sales before it starts hiking base rates. The discount rate going up signals a change in tide of the cost of money. Plenty of liquidity and access to cheap cash fuelled a strong rally in riskier asset classes like equities and commodities in 2009. As governments and central banks around the world start withdrawing that stimulus and tightening monetary policy, markets are bound to turn more volatile, likely curbing returns. Coming so soon after China delivered two surprising increases in banks' reserve requirements this year, the Federal Reserve's move may worry investors in riskier assets who have become quite comfortable with extraordinary amounts of money injected into banking systems during the financial crisis. The market reaction so far also highlights the communications challenge faced by the Federal Reserve. Fed Chairman Ben Bernanke has taken many unorthodox steps during the financial crisis. The return to more normal Fed policy also is likely to follow a somewhat unconventional path adding to bouts of market-jarring uncertainty. The IMF announcement of no central bank takers for its gold is also likely to add to the view that a major verifiable support for gold spot prices is no longer available, amplifying the uncertainty.